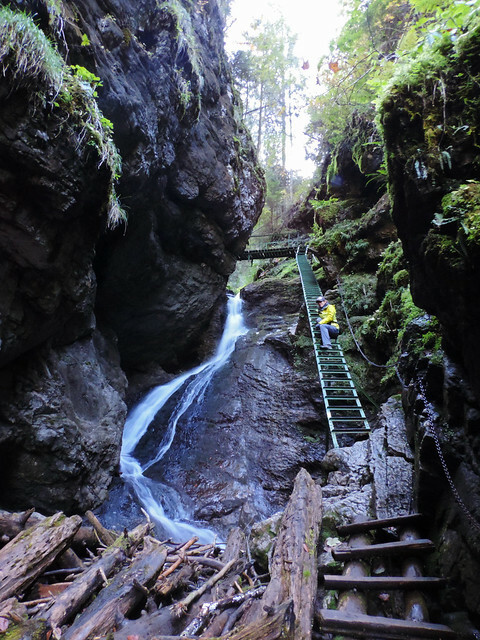 On our hunt for fabulous glens and waterfalls, the next is Veľký Sokol. 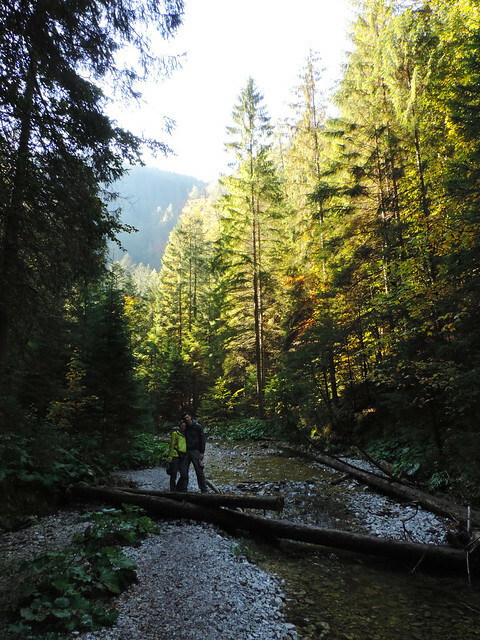 Though it’s the longest glen of Slovak Paradise National Park, it seemed like a route off the beaten path in this off the beaten path park. We might add that we visited Veľký Sokol on a sunny September weekend that is already after the summer holiday. Still, other trails – like Hornád Canyon – were considerably more busy even at that time. 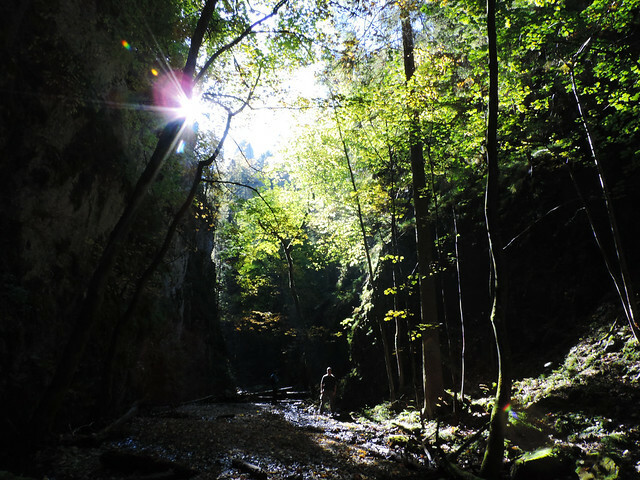 The entrance of the canyon is close to the abandoned, narrow road that leads through the heart of Slovak Paradise. It takes about 15 minutes to get to the pullout from the small town of Hrabušice by car. The pullout is easy to miss but if you check your Google Maps and keep an eye out for a sign with yellow mark that indicates the trailhead for Veľký Sokol, it’ll be fine. We followed the yellow trail and after a short walk along a lovely creek in the forest we got to the canyon entrance. It took about 2.5-3 hours to hike through Veľký Sokol canyon itself but we did it in a comfortable space. There was no one else around so we had this pretty, peaceful canyon and its charming waterfalls all to ourselves. The trail runs by the small creek and there were ladders and chains or just some large logs in the creek from time to time to help us conquer the steeper, narrower sections. This glen seemed the least maintained in the park, but we managed to find a safe path all the way. 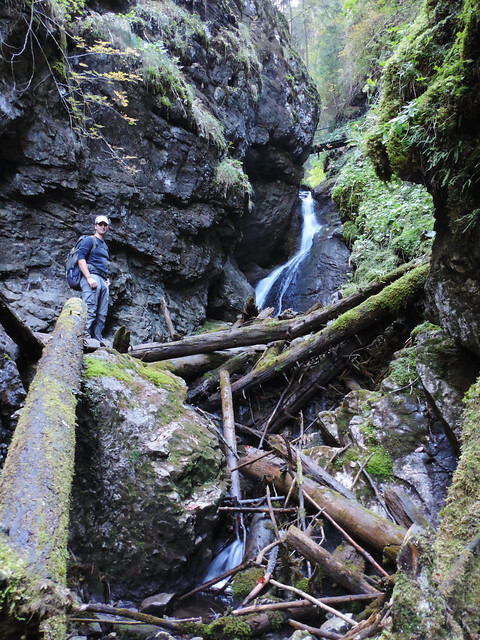 Maybe we wouldn’t recommend doing it as your very first hike in the Slovak Paradise. Still, the solitude and beauty you can find here is definitely worth the effort in our opinion. Once you got to the end of Veľký Sokol there’s an easy trail (marked with red) outside of the canyon in the forest to lead you back to the trailhead. If you have the option to get back to the Sokol pullout by car (like we had thanks to our family being with us) you can choose to hike all the way to Dedinky from the end of the canyon. 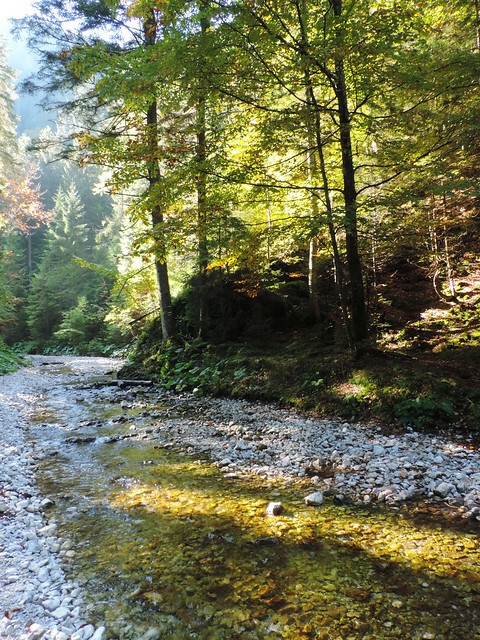 The closest town to the trailhead is Hrabušice that is a convenient choice anyway if you plan to hike anywhere in the Paradise. We stayed at various private guest houses on our weekend trips throughout the years but our favorite is Villa Mediasi. It offers nice, spacious, newly renovated rooms and a well-equipped, large, shared kitchen. To our pleasant surprise the staff speaks fluent English – that is not at all common at private guest houses in Slovakia -, we got a warm welcome and they made sure we have all the comfort and all the information that we need for an enjoyable stay. Do you have a favorite hidden glen hike? Wow what a gorgeous place. Thanks for sharing the information and the photos. Gotta add it to our bucket list.